Traders are advised to remain long with a stop below 10,980 levels on a closing basis. Breakout, finally! Five days of a successive rally in the Indian markets pushed Nifty beyond its crucial resistance levels of 10,985-11,000 on February 6. The index made a long bullish candle for the 5th consecutive day in a row. The Nifty closed at 11,062.5. According to Pivot charts, the key support level is placed at 10,992.6, followed by 10,922.7. If the index starts moving upward, key resistance levels to watch out are 11,102.5 and then 11,142.5. 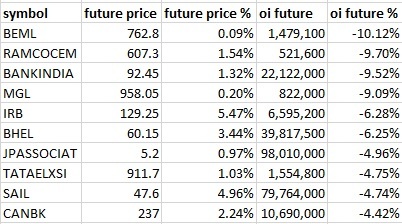 Maximum Call open interest (OI) of 33.66 lakh contracts was seen at the 11,000 strike price. This will act as a crucial resistance level for the February series. 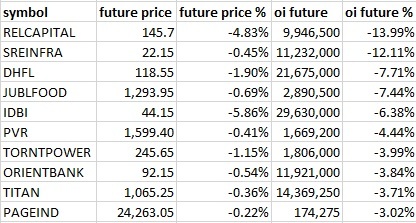 This was followed by the 11,200 strike price, which now holds 21.12 lakh contracts in open interest, and 11,300, which has accumulated 19.54 lakh contracts in open interest. Meaningful Call writing was seen at the strike of 11,400 which added 2.24 lakh contracts, followed by 11,300 strike which added 2.18 lakh contracts and 11,500 strike which added 1.89 lakh contracts. 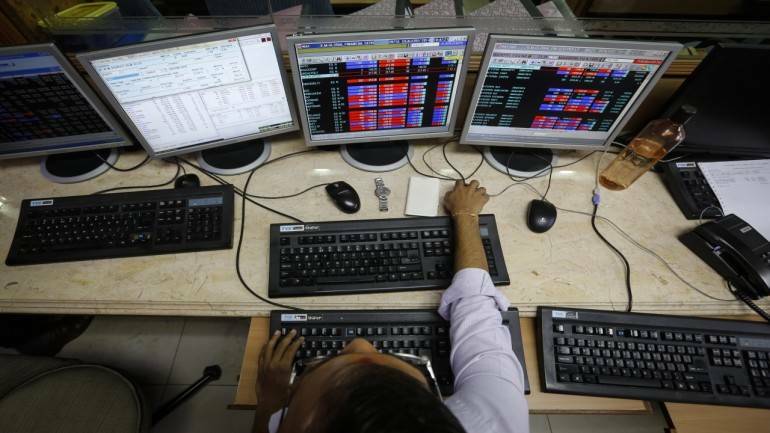 Call unwinding was at the strike price of 11,200, which shed 3.3 lakh contracts, followd by 10,900, which shed 2.98 lakh contracts and 10,800, which shed 1.18 lakh contracts. Maximum Put open interest of 34.45 lakh contracts was seen at the 10,700 strike price. This will act as a crucial support level for the February series. 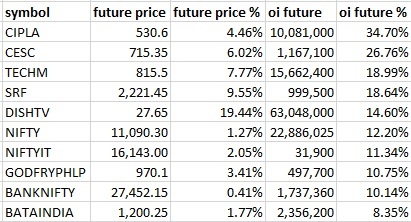 This was followed by the 10,900 strike price, which now holds 32.47 lakh contracts in open interest, and the 11,000 strike price, which has now accumulated 31.24 lakh contracts in open interest. Put writing was seen at the strike price of 11,000, which added 13.82 lakh contracts, followed by 10,900, which added 12.22 lakh contracts and 10,800, which added 2.99 lakh contracts. 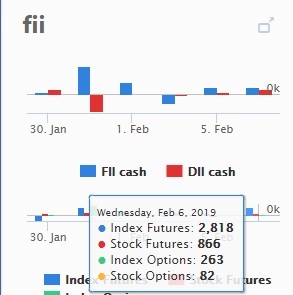 Foreign Institutional Investors (FIIs) bought shares worth Rs 694.97 crore and Domestic Institutional Investors bought Rs 525.26 crore worth of shares in the Indian equity market on February 6, as per provisional data available on the NSE. Dewan Housing: Tower Research Capital traded over 21.91 lakh shares at Rs 119.57-119.66 apiece. Jet Airways: Tower Research Capital traded over 5.78 lakh shares at Rs 237.56-237.82 per share. PC Jeweller: Crossland Trading traded 20.23 lakh shares at Rs 64.29-64.31 per share. Reliance Communications: Skyveil Trade Solutions traded 3.41 crore shares at Rs 5.31-5.33 apiece. Reliance Infrastructure: Alphagrep Securities traded 64 lakh shares at Rs 170.46-171.4 apiece. Puravankara: The company will hold a conference call to discuss its financial results on February 8, 2019. Inox Wind: It has scheduled a conference call for analysts and investors on February 8, 2019. Sun TV: The management will host a conference call on February 8, 2019. Yes Bank: The lender attended investor meets of ICICI Securities and UTI AMC. JM Financial: The company held a phone interaction with TR Capital on February 5, 2019. KEI Industries: The company will hold meetings with Antique Stock Broking and Edelweiss Securities on February 12-13, 2019. IndusInd Bank: Elara Securities met the management on February 5, 2019. Vodafone Idea: The net loss has widened to Rs 5,004.6 crore during December quarter. Cummins India: Profit up 9 percent at Rs 187.1 crore. 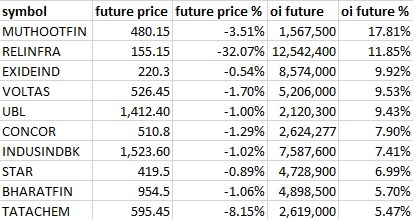 For February 7, DHFL, IDBI, Jet Airways, Reliance Capital and Reliance Infra are present in this list.